What: Whenever I find myself in mixed company at social events, I always bring up spirits or wine as an ice breaker only because most other small talk and subjects at parties bore me to death (the whiskey wench will confirm I’m no social butterfly); and since most folks are drinking something at these functions, spirits are a safe subject — unlike politics, religion, gun control, or health care reform. 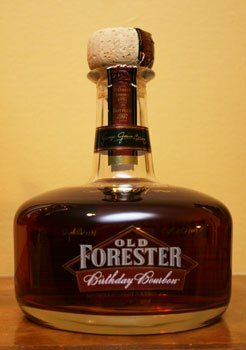 Once the ice has been broken and people figure out I am a whiskey nut, folks often ask me, “what’s your favorite whiskey?” or “do you like Bourbon or Scotch better?” I used to respond that I was a Scotch drinker and whatever my last purchase was, that would be my answer to what my favorite was. If you ask me if I prefer Scotch or Bourbon now, the answer is a little different. I still love Scotch and think the Scots make fine whiskey, and I will always drink, collect, and enjoy it. My answer to the same question now is American Bourbon. I can’t tell you how many times in the last few years that I have opened a new bottle of Bourbon and found it as good or better than any fine scotch in the same price and age range. I love being able to tell folks about American Bourbon and what is it today, as opposed to what it was 15 years ago. I like the fact that Bourbon — like jazz, blues, rock and roll, BBQ, and grits — is uniquely American and should be embraced as such. So now I proudly wave the American Bourbon flag every chance I get. This Bourbon, like its name suggests, comes out once a year, in the Spring. The Bourbon for this review is the ’07 release. This whiskey is one of those “sleepers” as I like to call them. It’s widely available, hardly mentioned in trade rags or blogs, but a great find. If you do happen to read other blogs or reviews of this whiskey, it always gets high scores but seems to vary widely from year to year. I have had the ’07 and ’09 releases, and I can tell you the ’07 is a better whiskey, but don’t think for a minute that the ’09 is bad, it’s not. I don’t think you would go wrong with any release based on what I have read and tried. This Bourbon is very rich on the nose with strong, creamy caramel notes, with little alcohol that comes across; it has a bit of spice on the end. The first taste of this whiskey seems to be the same flavors as what you took in on the nose, except backwards. The spiciness hits you first with a bit of warmth that wasn’t present on the nose. The creamy caramel that you took in at first comes in at the end. The finish is exactly what I like in Bourbon: long and lingering with a bit of warming dry spiciness on the end. This whiskey doesn’t seem to be as sweet as a lot of Bourbon, which is a nice change and a bit reminiscent of a rye. I like this Bourbon for a lot of reasons, but once again, it confirms that there are great American spirits out there for a reasonable price and readily available and that taste great. I can easily recommend this whiskey for all the reasons that make sense. It tastes great; it’s reasonably priced for a small-batch Bourbon; and it’s widely available.